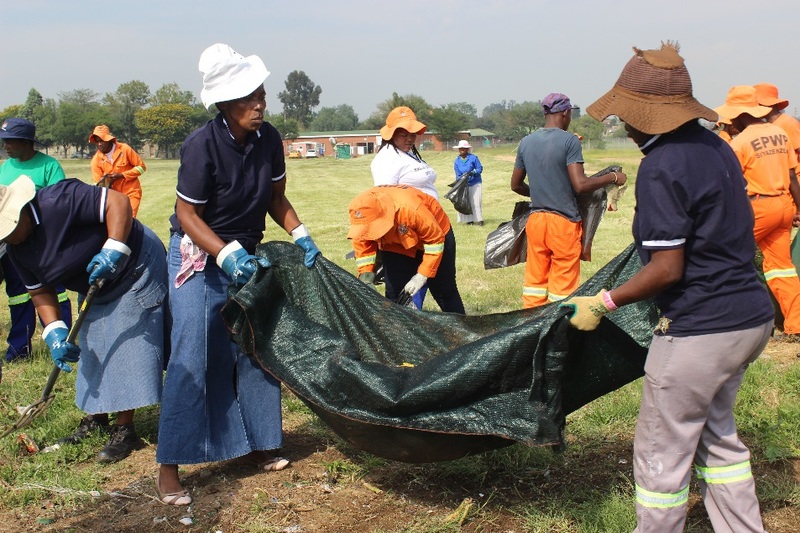 In a collective effort to keep Newcastle clean, The Newcastle Municipality’s department of Community Services with the help from Volunteers took the initiative to work together to clear the refuse that has been pilling-up in various open spaces within the city. Every week a new place that needs extensive cleaning is identified and on a Friday morning, these places are visited. “We have devised a plan to make certain that Newcastle remains the best city to live in and also to make certain that health hazards are halted. 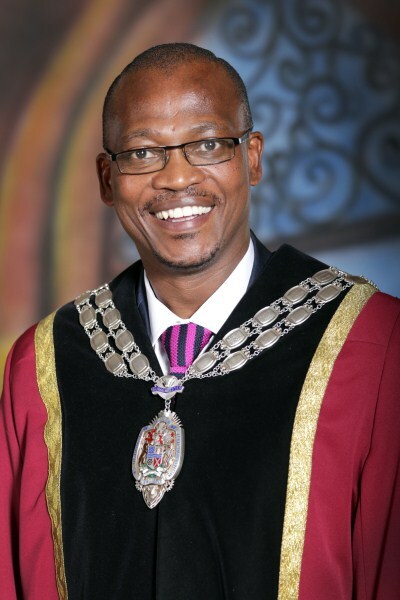 We have dedicated our Fridays to cleaning every corner of this town,” affirmed Dr P.D Thabethe Acting Strategic Director for Community Services. 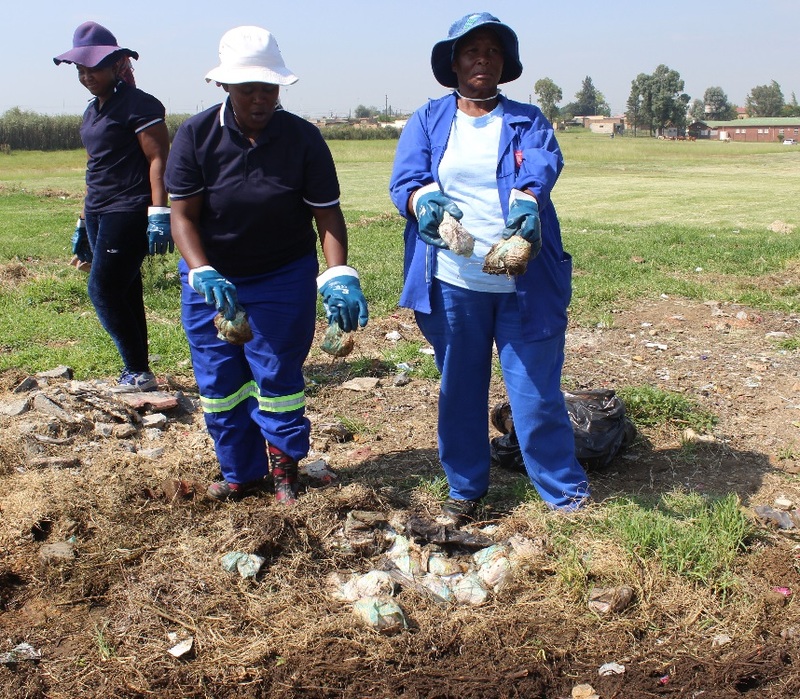 This is what saw Volunteers from Madadeni, Osizweni and Blaaubosch together with Newcastle Municipality putting on their gloves to clean waste next to the Rosary Clinic in the Blaaubosch area on the 2nd of February 2018. This programme has been rolled out in all the areas in Newcastle and we would like more people to get involved in helping us achieve our aim” continued Thabethe. 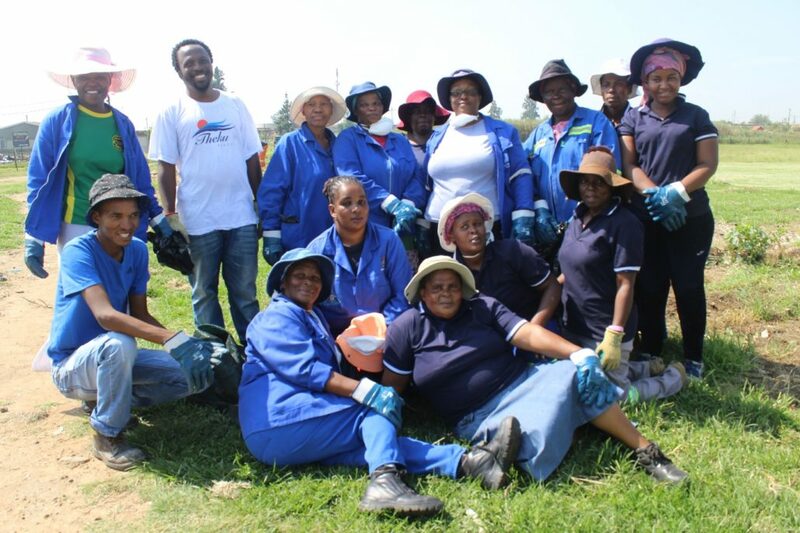 These volunteers have already sorted out areas in and around Madadeni, Osizweni and Blaauwbosch and they continue to maintain these areas. Skips are placed in various open spaces and the community is urged to utilise them. 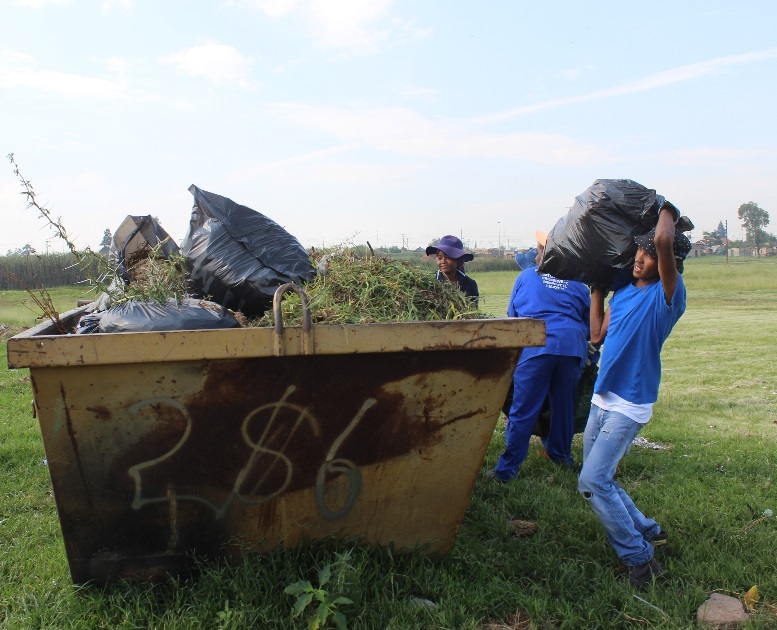 The Municipality urges the community to make use of the skips provided to them to dump their garden refuse and not around it. Household refuse is picked up weekly and refuse bags should be taken out in the morning, Waste Removal and bag collection roster is available on the Newcastle Municipality.